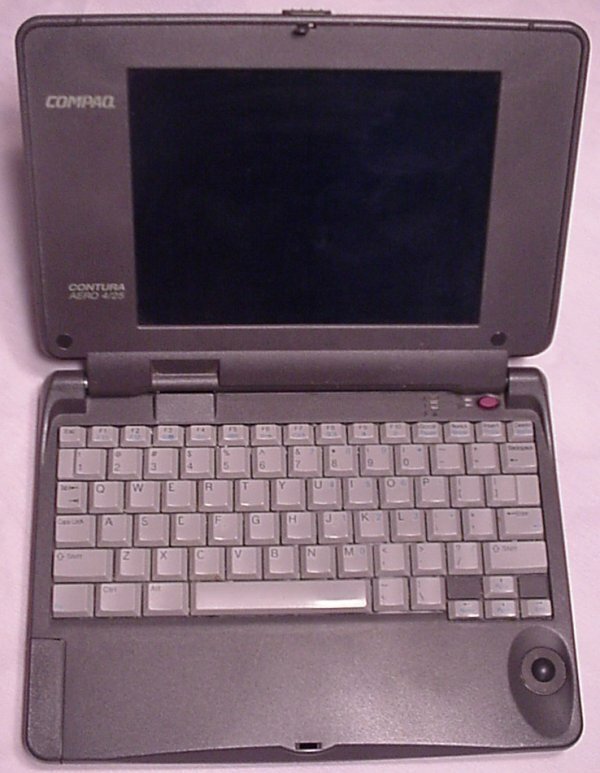 Want a small little DOS/Windows machine that you can take everywhere with you? If it weren't for one fatal flaw, this little laptop would be perfect. This early version of the Aero line came in a number of varieties, both 386 and 486 based. It's a nice size. It has a nice little screen, sometimes in color, sometimes not. It has varying amounts of RAM. The keyboard is small enough to make it compact, but large enough for real typing. The mouseball works great, with buttons perfectly placed on the side of the unit. And the buttons are purple. So what's the fatal flaw? The stupid hinge breaks! I bought three, maybe four, of these on eBay, trying to get a good unit. But the hinge would always fail. Always always always! Close-up of the trackball and it's mouse buttons. Nice color. 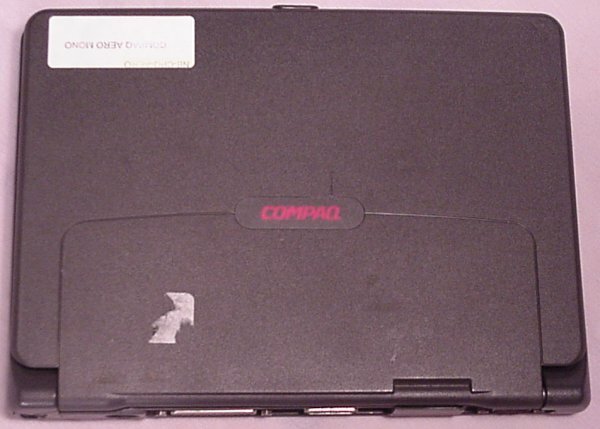 Click here to view all comments for the Compaq Aero and to leave your own.